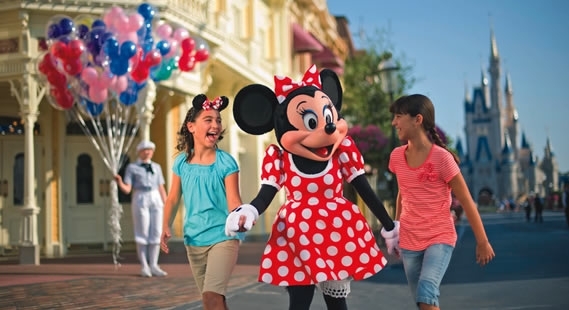 Book your Alamo car hire with a Disney Resort Hotel and we’ll deliver it to your hotel free of charge, saving you £45! For more information and to book please call 0344 739 9330 or visit us in store. We at Virgin Holidays are dedicated to offering you the best holidays to Florida. And at an unbeatable price too! This is where our Attraction Ticket best price comes in. This means that if within 14 days of booking your Virgin Holidays package holiday with an attraction ticket, you find the identical attraction tickets cheaper with another UK ABTA/ATOL ticket broker or Tour Operator at a lower price*, we will match that price. If we are unable to match, we will offer a best price or you can cancel your attraction tickets free of charge. With six magical theme parks - including two thrilling water parks, this is the place where dreams come true! With the simple touch of a MagicBand or card, you'll have all-in-one magical access to the experiences you select. 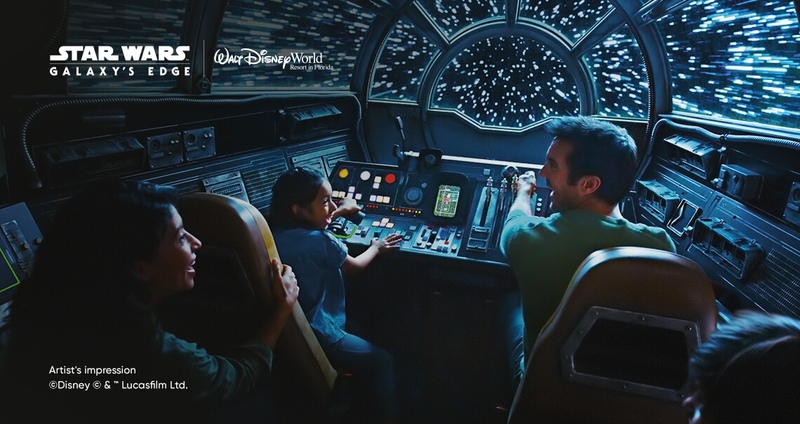 With Disney FastPass+, reserve some must do experiences and more before you even leave home. Have your magical holiday moments captured - without anyone having to step out of the picture to take it! Exclusive Walt Disney World Resort Hotel guest benefits at more than 20 unique Disney Resort Hotels. Disney Dining Plans can be used across the whole Walt Disney World Resort - no need to stick to your Resort Hotel. For hotel bookings over five nights or more, made by 31 Dec 2019 for arrivals through to 31 Dec 2019, the 14-day ticket (Disney’s 14-Day Ultimate Ticket) is available for the price of a 7-day ticket (Disney’s 7-Day Ultimate Ticket). 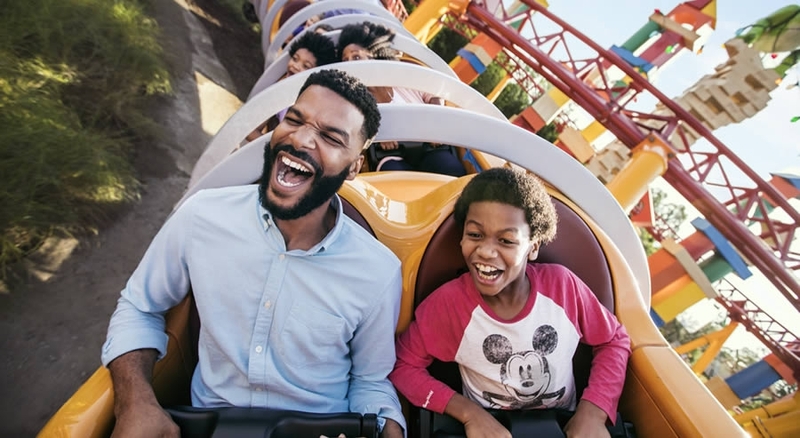 Disney’s 7 and 14-Day Ultimate Tickets expire 14 days from the first day of use and Disney’s 21-Day Ultimate Ticket expires 21 days from the first day of use. Disney Resort Hotel and Tickets must be purchased at the same time. For child tickets, children must be aged 3–9 years at the time of use. Offer is available to book separately between 03 Dec 2018 - 29 Aug 2019 or combined with other offers available. For this time the 14-Day Ticket (Disney's 14-Day Ultimate Ticket) is available for the price of a 7-Day Ticket (Disney's 7-Day Ultimate Ticket) for arrivals 01 Jan - 31 Dec 2019. Disney's 14-Day Ultimate Ticket expires 14 days from first day of use. Child ages 3-9 years (at time of use). ^^Memory Maker includes Disney PhotoPass photos and other digital content taken during the Memory Maker window and linked to the Memory Maker guest’s Disney account. If Memory Maker is sold or ordered in combination with a Park ticket, the Memory Maker window for that Memory Maker entitlement will be equal to the usage window of the associated Park ticket and will automatically begin upon the first use of the associated Park ticket. The Memory Maker window will end upon the sooner of either the expiration or depletion of the Park ticket. A MagicBand is required to receive certain attraction photos and other digital content. Photos and other digital content will expire pursuant to the expiration policy at mydisneyphotopass.disney.go.com/help-and-support. Valid Theme Park admission required for certain photo locations. Memory Maker is subject to Memory Maker terms at mydisneyphotopass. 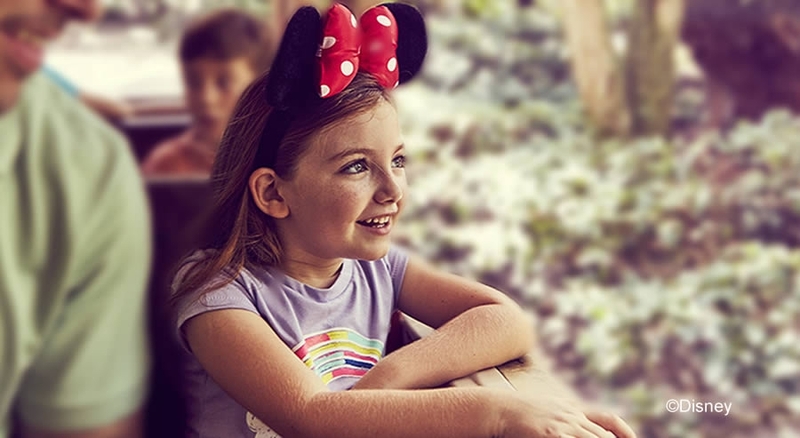 disney.go.com/memory-maker-terms and, if applicable, Family & Friends terms at https://disneyworld.disney.go.com/en_GB/ park-experience-terms-conditions. Disney is not responsible for missing, lost or damaged photos or other digital content. Book by 31 Dec 2019 for arrivals through to 31 Dec 2019. Disney Dining Plans may be subject to change for arrivals from Jan 2020. A Disney Dining Plan must be selected for all members of the party travelling aged 3 and over (at time of visit). Children aged 3–9 (at time of visit) must order from children’s menu where available. Gratuities are not included except at dinner shows, private in-room dining, pizza delivery, and Cinderella’s Royal Table. An 18% gratuity will automatically be added to your bill for parties of six or more. Certain menu items may incur an additional cost. An additional form of payment is required if you add a gratuity and have not provided a credit card at check-in for charging incidentals and other expenses. Participating restaurants are subject to change. †Guests must be aged 21 or over and present valid ID to be served alcoholic beverages, and such beverages may only be redeemed with Self Service or Waiter Service meal entitlements. One beverage per meal. Some beer, wine and mixed drinks will be excluded. Novelty or souvenir cups are not included. Copyright: ©Disney ©Disney/Pixar Jenga®Pokonobe Associates. All Rights Reserved. All offers are for new direct bookings and are subject to availability and Virgin Holidays standard terms and conditions. When booking by telephone or in-store a non-refundable booking fee applies. Offers cannot be used in conjunction with any other special offer, promotion or discount; however can be used with the Frequent Virgin Club and Virgin Atlantic Flying Club excluding blackout dates. Offer valid for Virgin Holidays division of the Virgin Holidays group only, for definition visit virginholidays.co.uk/ourfamily. ATOL protected (2358) and ABTA (V2043) for Virgin Holidays and (J1138)/(W9716) for Virgin Holidays Cruises.